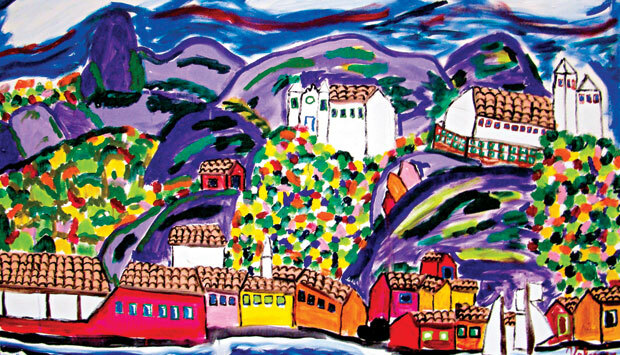 Tela de Valmir Silva: a linguagem popular do pintor mineiro . No meu trabalho de ambulatório clínico e na psicologia social com as comunidades do cariri paraibano tenho escutado algumas expressões que me chamam a atenção. São expressões que caracteriza uma forma típica de falar do homem do campo e do interior, mas precisamente do cariri paraibano. Estas linguagens populares vão desde erros de concordância verbal, reduções de pronúncia, expressoões idiomáticas e uso de palavras engraçadas. No início, tive um impacto forte ao ouvir certas palavras e formas típicas de falar do lugar. Não acostumei ainda com a linguagem popular dos nativos daquela região… Daí, resolvi pesquisar sobre o assunto e categorizar as expressões que escuto no cotidiano. Mas, como diz uma amiga minha: eu entendo este linguajar pois sou Nordestino!!! Nordestino não fica solteiro… ele Fica solto na bagaceira! Nordestino não vai com sede ao pote… ele vai com a bixiga Taboca! Nordestino não vai embora… ele vai pegá o beco! Nordestino não conserta… ele imenda! Nordestino não bate… ele ‘senta-le’ a mãozada! Nordestino não sai pra confusão… ele sai pro ‘muído’! Nordestino não bebe um drink… ele toma uma! Nordestino não corre… ele dá uma carrera! Nordestino não brinca… ele manga! Nordestino não toma água com açúcar… ele toma garapa! Nordestino não engana… ele dá um migué! Nordestino não vigia as coisas… ele pastora! Nordestino não sai apressado… ele sai desembestado! Nordestino não aperta… ele arroxa! Nordestino não usa zíper… usa ‘rirri’! Nordestino não dá volta… ele arrudêia!!! I have writer’s cramp since my childhood. I have used both hands to write: I’m ambidextrous. I have had difficulties to write since when I began to study at school. I didn’t know this disease. I had always felt as a timid person because of this disability. So, I have developed social phobia due to dystonia. Despite everything, I have studied and today I have a profession. Anciently, I thought I would never be able to do a course at the university due to writer’s cramp. But nowadays, I am a psychologist. I found that I had writer’s cramp in 2000 when I went to my neurologist. He prescribed Artane that had no effect and then he prescribed akneton, but I used for a short time, because I had not realized an improvement in dystonia. Then, I began to take wine in meals for some time. Helped a little, but I did not wish to continue taking wine because dependence! I went to the another neurologist, indicated by him. She suggested the introduction of botulinum toxin. I did not want because I was afraid and because it was expensive. I needed to get botulinum toxin injection every 4 months. In 2008, I spoke to Doctor J.M. again and I got my first botulinum toxin injection, in June. The SUS – Brazilian Public Health System – offers botox for free to neurological diseases. The second time I got my botox injection was in late November. In 2008, December I did a consult with the neurologist at the Sarah Kubstchek hospital in Brasilia. A reference centre for neurologist diseases. In 2009, January and February I did certain examinations in this hospital: blood, magnetic resonance… And return to neurologist. I was submitted to a pedagogical and physiotherapy evaluation. In April, I started to participate in an online community in a social network called Orkut, which gave me a lot of joy, because I met people who suffer the same desability as mine: writer’s cramp. In May, I did another pedagogy workshop. I relearned to write with the left hand. 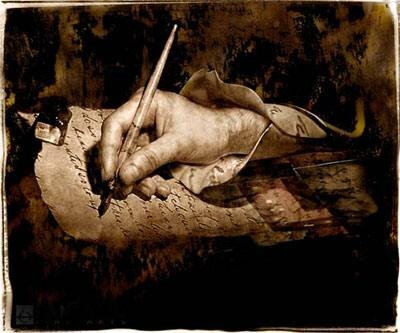 In the past, I had already learned to write with another hand, but I forgot due to lack of use it. In July, I will get my 3rd botox injection with Doctor J.M., in his private clinic in Campina Grande – my city. Well, I had dystonia since literacy. I’m left-handed and my mother taught me how to write with the right hand due to dystonia. In this way, my life became a hell. I always wrote slowly and without way to pick up the pencil and all my colleagues were laughing at me. I have suffered much until today. My school life has always been difficult and traumatizing… Imagine you strive to study with writer’s cramp. I did not know I was a dystonia sufferer and I was forced to study by my parents. Today, I thank them despite all the suffering that I have experienced. 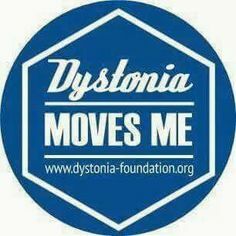 They also did not know I’ve always been a dystonia sufferer since my childhood. The doctors did not know this weird disease… Most people thought I was faking an illness to get attention. All were ignorant and stupid with me. This kind of distrust is what most mistreat anyone. All this left me disgusted and angry. Nobody ever understood me and I did not know what was happening to me! I thought would never be able to finish my studies. One of the greatest achievements of my life was to graduate in psychology! Today, after 40 years the disease began to worsen and I started to feel my hand becomes with rigid and stiff movements. I can’t type as before. Writing and typing became bad and boring things. Currently, I am using botulinum toxin, using a rubber thick pen and a ringpen which has helped a little. They are some palliatives and intelligent adapters. I have noticed that the botulinum toxin improves posture when writing, the firmness in writing and a better footprint in pencil. About the slowness and lack of agility to write it has no improvement. I’m still writing with strength. Well, today I am 43 years and I realized that dystonia is worse. I can’t type with the right hand and have a difficulty to use the mouse. I need to use the computer and write often because of my profession. So, I have suffering too much with this limitation. But we must move forward. You know, I spent a long time not accepting my dystonia. But, I learned that we have to live well with dystonia, overcoming boundaries!